Researchers at the University of Glasgow have announced a new technology-based approach that could lead to a more accurate identification of people at high risk of type 2 diabetes. It is hoped the findings, published in PLOS ONE, could one day help tackle the global increase of type 2 diabetes, which currently affects 415 million people worldwide and is predicted to rise to 642 million by 2040. The European and US researchers have discovered potential new predictors, or “biomarkers” of diabetes, in the form of proteins and molecules called “micro-RNAs.” After further validation and follow-up, the researchers believe these could become new targets for diabetes drug development. 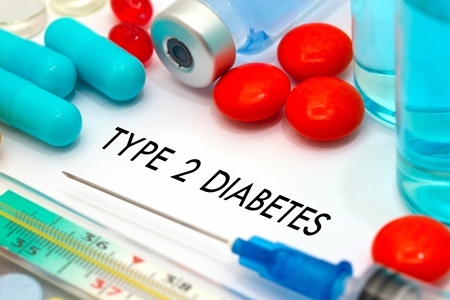 Type 2 diabetes is a common condition characterized by high blood sugar and serious long-term complications including eye, kidney, nerve and heart disease, reducing life expectancy. It currently affects 292,000 adults in Scotland (5.4% of the population). Study lead, Professor John Petrie, Institute of Cardiovascular and Medical Sciences, University of Glasgow, said: “Many cases of type 2 diabetes could be prevented by earlier and more intense intervention to reduce calorie intake, increase physical activity and prevent the weight gain associated with modern lifestyles. In the years prior to a person developing of type 2 diabetes, cells scattered throughout their pancreas (-cells) work overtime to produce extra insulin and keep blood sugar levels as normal as possible. By the time diabetes develops, these cells have become “exhausted” and no longer able to make enough insulin to process and store food. The researchers looked at the proteins present in the blood samples of people studied three year before they developed type 2 diabetes and compared these with samples from people of similar age and weight who maintained normal blood sugar over the same period. The project measured 1,129 proteins in each blood samples as well as 754 molecules called “micro-RNAs” known to regulate the expression of genes. 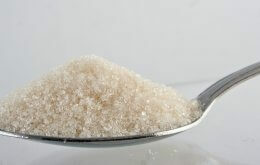 The researchers used statistical modelling to work out which were best at predicting diabetes. Remarkably, both approaches flagged a series of molecules in the Epithelial-Mesenchymal Transition pathway. This is a series of changes in -cells that may reflect a form of “stress” as they begin to lose their insulin-producing properties due to overwork. The study, ‘Identification of novel biomarkers to monitor -cell function and enable early detection of type 2 diabetes risk’ is published today in the open access journal PLOS ONE. It is a collaboration with Jansssen Pharmaceuticals (who provided funding for the analyses) and the European Group for the study of Insulin Resistance, of which Professor Petrie was formerly President.